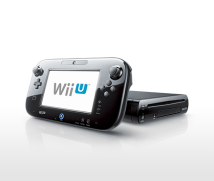 What is it about the Wii U hardware that you want people to pay attention to the most? Akagi-san would you start us off? I worked on the SDK18 and absolutely love CPUs! (laughs) So I myself have been happy to see how far game consoles have come. I hope people will be impressed by the types of software enabled by the CPU. 18 A set of development tools necessary for making applications for game consoles and other devices. I like the way you say you love CPUs! (laughs) It turned out to be a CPU without any strange habits – one that runs just the way you expect. All right, Kitano-san? Speaking from the standpoint of casing design, while the basic structure resembles Wii, there are various differences that made things more convenient. For one thing, the SYNC Button19 is on the outside. We heard that a lot of customers had made inquiries about how to synchronise the Wii Remote, so I thought there was a merit to that. Also, the USB connectors, which are only on the backside of Wii, are in front as well, making it easier to connect USB peripherals from the front. 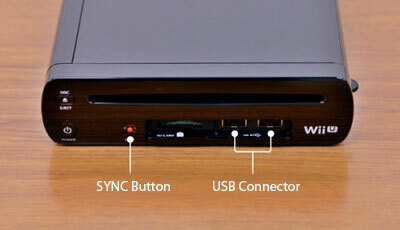 19 The red button labelled “SYNC” for connecting the Wii Remote with the console. There are two on the front and two on the back. Right. Another detail is the cover. For Wii, it came out forward, but this time it goes in. Oh wow! That way it isn’t in the way when it’s open! From the point of view of design, we didn’t just simply apply the latest technology to improve performance. We decreased power consumption and made the casing smaller, so I think this console achieves a good balance between performance, power and chip size. 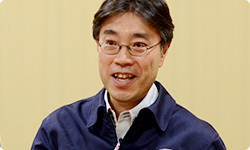 And, expecting that this would be a device that would allow people to experience much more than playing games, from the very beginning of development of Wii U, we adopted a policy of increasing the main memory capacity. And another thing I would like to point out is that it comes with an HDMI cable as a standard accessory, included with purchase of every Wii U console. We want as many people as possible to enjoy HD images. Not many devices out there come with an HDMI cable yet. You can use the cable that came with the original Wii, but that wouldn’t make the most of the Wii U console’s capabilities. And you, Takeda-san? I would draw attention to how efficient it is. For a computer to function efficiently, memory hierarchy20 is important, but this time the basic memory levels are tight. That makes it orthodox, but also makes the foremost feature of this machine its efficiency. 20 Structuring computer memory in layers. The human brain has short-term memory for remembering information related to a certain matter currently in progress and long-term memory for long-term storage of information unrelated to immediate circumstances. Likewise, a computer transfers and manages data by layering storage, with the CPU at the top, high-speed low-capacity cache memory serving as short-term memory underneath, followed by low-speed large-capacity main storage for managing hardware, and auxiliary storage for managing the OS on the bottom. That has been our policy since Nintendo GameCube. No matter how great the numbers are that you can boast, can you only draw that out under certain conditions, or can you actually draw out its performance consistently when you use it? 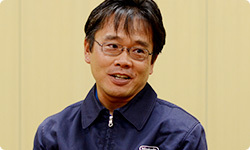 Insisting on the latter way of thinking has always been at the root of hardware and system development at Nintendo. You’ve always been involved with video game consoles, and you told me earlier how game consoles have always leeched off televisions, but this is the first game console that doesn’t have to leech off TVs. With Wii U, you can play games on the GamePad, which slightly changes the idea of game consoles as something in your living room. 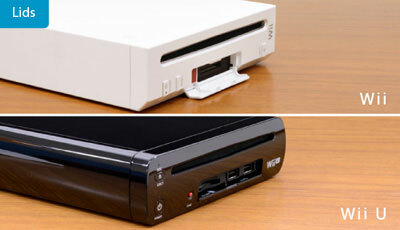 By the way, what are each of you excited about that can be done only on Wii U? I have a small child, too. We can play together using the touch screen of the Wii U GamePad, so I think it would be good to set that in the living room and enjoy it. I don’t have any children (laughs), but when you touch an object on the touch screen, it’s reflected on the television, so it’s easier to recommend to my mother and father – especially my mother, who doesn’t usually play video games. A lot of people still don’t intuitively understand the idea of touching the controller and seeing it reflected on the TV. But one reason that such people liked Nintendo DS was that when you touch the screen, there’s a response. That has now come to the world of home television video games, with the added fun of being able to share the results with people in the same room as you. 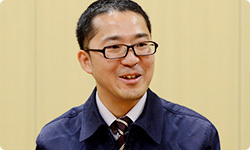 Takeda-san? When you’re watching television in the living room, all kinds of conversation arises. If a question arises, you can use Wii U to immediately look up the answer. I think having a tool to assist learning and curiosity will make everyone happy. In other words, it’s a machine that will increase conversation in the living room. Yes. I would be the most thankful for that. Of course, playing video games is still the centrepiece, though. You don’t have to play Wii U in conjunction with the television, so people may turn it on more than any home console before. All right, let’s finish up by having everyone say something to the customers – starting with Akagi-san. We’re testing and testing it (laughs), so I hope you will be at ease playing games on it. As with Wii, I hope people will give Wii U a central place in their living room and enjoy it with many of their family members and friends. And please put in a little extra effort to connect the included HDMI cable and enjoy it in HD! You can, of course, enjoy video games to the fullest, but we’ve also included many elements for enjoyment besides the game capabilities. I’ll be grateful if people would turn on the power and interact with Wii U often. You’ll have both the television screen and touch screen, which I think will increase possibilities for conversation, so please enjoy it, everyone! All right. 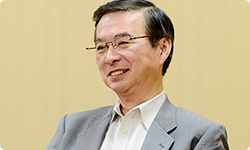 And you, Takeda-san? Hardware is indeed a stagehand. We have finally passed the baton to SDK. I hope everyone will enjoy the methods of gameplay and the specific content. With the hardware we made, the SDK that we were involved with, and the effort from the application makers, I hope we can get all the great content across to players. Thank you. Hardware is indeed a stagehand, but without it, you can’t do anything. When you actually use it, it runs as a matter of course, but in order to achieve something that appears so effortless, you thermal test it thousands of times and revise the test patterns hundreds of times and perform defect analysis. I hope that the people, especially those who take the time to read this interview, now understand that in order to make this hardware at this size, with this performance, while also suppressing power consumption – and all at this price – a lot of people had to work awfully hard. That is my candid wish. We also cleared the challenge of making sure that Wii U could send images to the Wii U GamePad continuously without latency21. Thank you for your time today. Thank you. 21 The time it takes to receive data. This refers to the time it takes to retrieve data in memory and receive that information over a network. 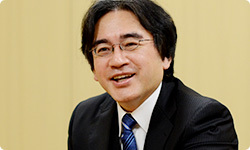 *Editor’s note: Find out more in the "Iwata Asks: Wii U GamePad" interview.